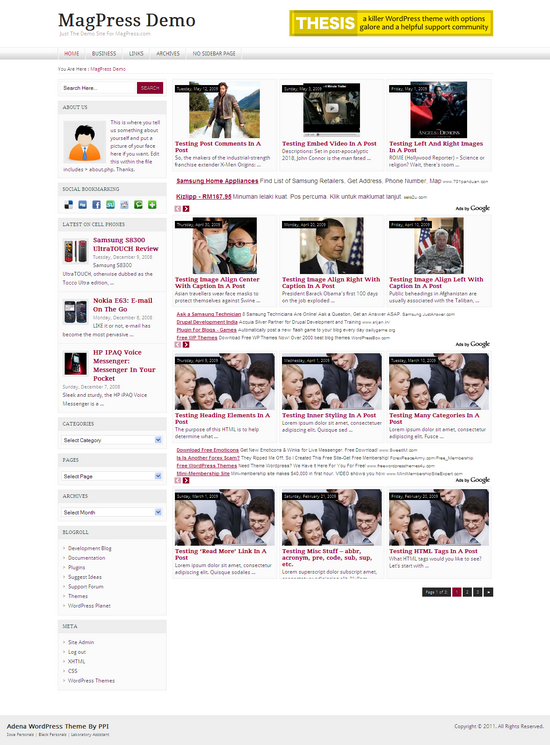 Adena is a 2 columns fixed width WordPress theme. This Magazine style WordPress theme comes with theme options, featured categories, Adsense ready and many more. Adena is a customize layout 2 columns fixed width magazine WordPress theme developed. This is a premium with an easy to use theme options. Ecopal WordPress theme design emphasize on Eco-friendly colors such as red and white. This Premium Magazine WordPress theme will only cost you USD5.00 via Paypal.